Brand New 510 Ocean Spirit. If you're after a little bit of luxury in a complete allrounder package, this is the model for you. With plenty of features included as standard like the new Rear Folding Lounge, walk through cabin hatch, level floatation, Non-Return Scupper Drainage System and a huge underfloor Fuel Tank at 95 Litres. 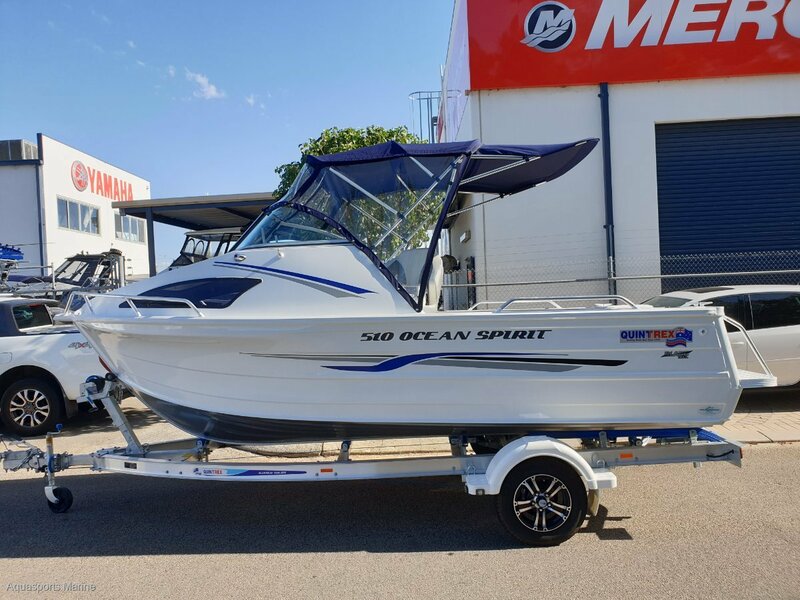 - 12 Months boat and trailer registrations and stamp Duty Paid "Driveaway Price"
Photos for Illustration purposes only and may include options not included in pricing.